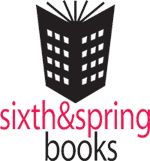 Sixth&Spring, the book publishing imprint of SoHo Publishing, produces approximately 30 new knitting, crochet, sewing, crafts and beauty titles a year. Sixth&Spring has a backlist of more than 100 books. SoHo Publishing Co. is a leading full-service publisher specializing in high-quality crafts and lifestyle books and magazines. Our expertise also allows us to partner with some of the most recognizable names in the crafts and fashion industries to produce customized magazines and books. Originally created as a division of the Butterick Pattern Company, SoHo has been an independent publishing company since 2001.